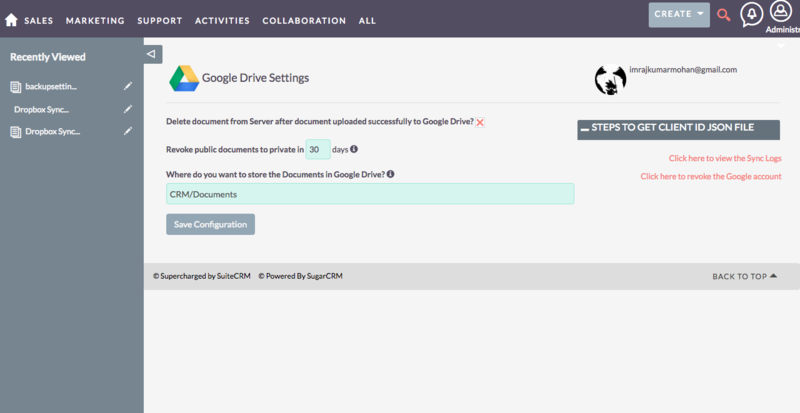 Google Drive Integration for SuiteCRM module uploads all your CRM documents to Google Drive. 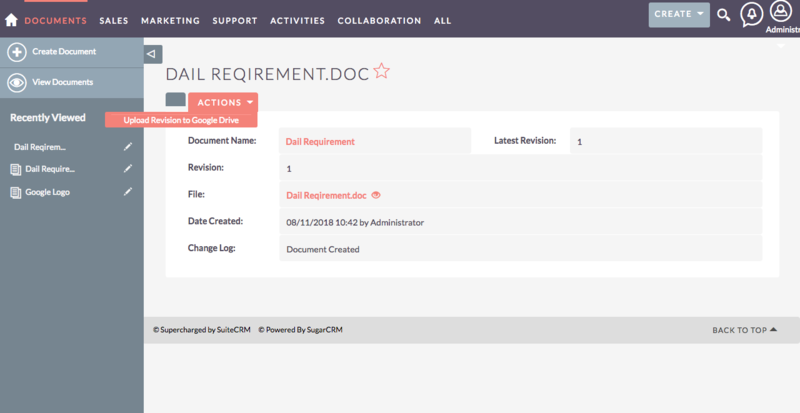 The user can preview the document, download, and get the shareable link within the CRM. The module provides a one-stop solution for document management with Google Drive. No need to upload the document(s) in your email. Just click on the shareable link and paste the URL in your email. In order to view a document, no need to download the document from CRM and view it from your Desktop. 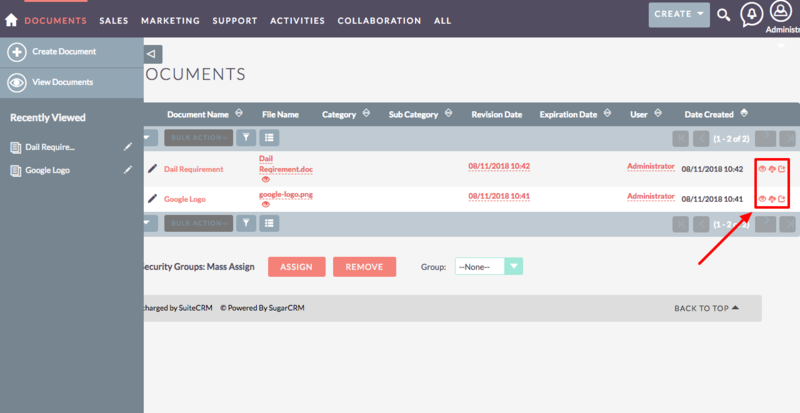 Just click on the Preview icon, you will be able to view the document inside the CRM. You can consider this integration as a backup option as well. Your documents are secure as Drive is encrypted using SSL, the same security protocol used for Gmail and other Google services. Admin can set up the Google Drive Integration by creating an app in Google using the steps given in the Google Drive Settings. If you want to remove the document from CRM server after upload, check the checkbox. If you are using this module for Documents backup, you can skip this. Go to Admin > Scheduler. Click on “Create Scheduler”, name the Job, configure when to run the Scheduler, choose URL to “Revoke public documents to private – Google Drive“. This Scheduler will revoke the Public Google Drive Documents to Private. We create two checkbox fields in DocumentRevisons module – Is Document public and Synced to Google. You can add it to your List view or Detail view to know about the Document status. If the document is uploaded to Google, Synced to Google will be checked. If Is Document public is checked, then any person who has the URL can able to view the Document.